On the morning of November 13, exchange student Arthur Wauquiez walked into the gym along with his classmates for West Ottawa’s annual Veterans Day assembly. After sitting down, right away Wauquiez is amazed that West Ottawa students come together to celebrate those who have served in the military. Students stand, say the pledge, sit down and wait to see what is in store. Wauquiez is sitting next to a classmate who is surprised how much Wauquiez is enjoying this assembly. “In my school, we talk about Armistice Day but we never have people from our military come in and speak; it was very inspiring to see how much the high schoolers look up to the people defending their country,” Wauquiez said. Many high school students do not know what they want to do with their lives in a week, much less about where they want to go to college or what they want to do for a living. However, exchange student Arthur Wauquiez has known what he will be doing for the rest of his life from a young age. 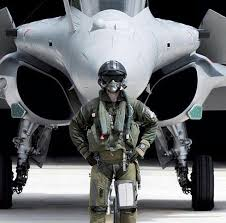 “I want to be a pilot for the French military” Wauquiez said. Coming to America for the first time this year through an exchange program, Wauquiez has been able to learn all about what the American military offers by talking to military veterans after the Veterans Day assembly. By seeing the pride that all the veterans have in defending their own country, Wauquiez wants to share that same pride in his country. On November 13, West Ottawa had their annual Veterans Day assembly and Wauquiez was very impressed by how much Americans celebrate their military veterans. “In my school, we talk about Armistice Day but we never have people from our military come in and speak; it was very inspiring to see how much the high schoolers look up to the people defending their country,” Wauquiez said. In France, the public don’t give a lot of recognition to those who defend their country. Wauquiez is hoping that with further education about the military, more people will learn to respect it. West Ottawa is very encouraging to all students who want to go into the military. In other countries, many students do not want to go into the military but some of them get drafted every year. Wauquiez’ uncle is a pilot in the french military and has been a huge inspiration for Wauquiez in his choice of a meaningful career. “My uncle would take me into his plane and show me how everything worked. It is something we bonded over and I fell in love with how the planes flew,” Wauquiez said. For the past few years, Wauquiez has been taking flight lessons with his uncle and other instructors. “It is amazing how sensitive the plane is, if you turn the control wheel a little to the left, the whole plane will move a lot to the left so you have to be very careful and know exactly when you are going to move,” Wauquiez said. Flying a plane is a very complex skill that takes years to perfect, but with the determination that Wauquiez has, he is sure that he will make it to the french military flight academy. Wauquiez has to work extremely hard in school so he can earn the top grades to qualify to go to the military flight academy. To be accepted into the flight academy Wauquiez is looking into, he would need a 4.0 grade point average, as well as a lot of flight experience, and many references from past flight instructors and teachers. Wauquiez is hoping that with his experience and the help of his uncle he will be accepted into the academy. Every year, the academy only accepts 100 students out of thousands of applicants, and less than 50 of these student will make it to actually becoming a pilot in the military. Wauquiez knows that being part of the exchange program here at West Ottawa will set him apart from other applicants and help his chances in achieving his dream of flying in in the french military.